Gravel riding has become one of the most popular forms of riding since you're able to keep riding when the pavement ends and the dirt begins. The 2018 Niner RLT 9 RDO 4-Star Bike is designed for the rider who prefers riding in areas where not many people ride. It starts with the RDO carbon frame that is built to be both lightweight and incredibly durable. The frame and form accept up to 40mm wide tires so you can have maximum traction when you need it. It has internal cable routing with cable guides so you never have to fish your cables and housing again. Every frame size offers two water bottle mounts so you can always carry water on the ride. It features rear rack mounts so you can set this up as a light duty touring bike for longer rides. The 4-Star version of the RLT 9 RDO comes with a Shimano Ultegra R8020 2x11-speed drivetrain. It has Ultegra shifters, Ultegra hydraulic disc brakes, Ultegra front and rear derailleurs, Ultegra 11-34 tooth cassette, and an Ultegra crankset. This will ensure you have clean and crisp shifting for your entire ride. With the Stan's NoTubes Grail wheels, you'll have a tubeless ready setup so you can run lower tire pressures for increased traction and a smoother ride. 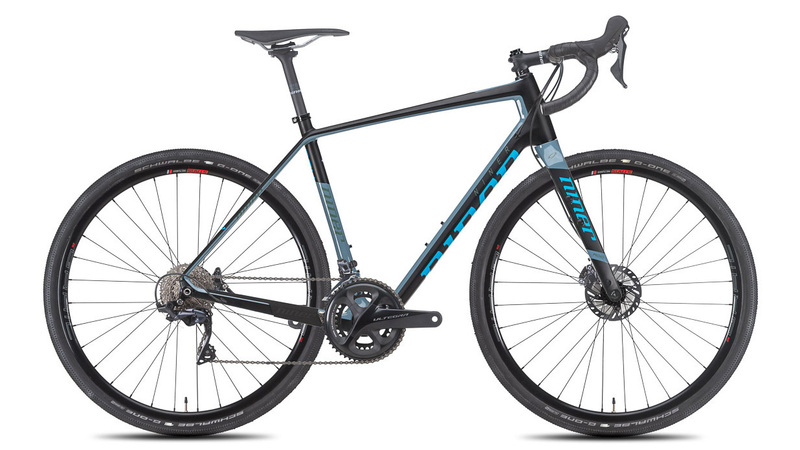 If you're the type of rider who wants to ride off the beaten path, then you'll love the Niner RLT 9 RDO 4-Star Ultegra Bike.